Divided by a common language is a phrase often mooted around when indulging in linguistic comparisons between Britain and America. However the wealth of highly literate singer-songwriters who exchange their words and wisdom across the Atlantic divide often act as a unifying force. 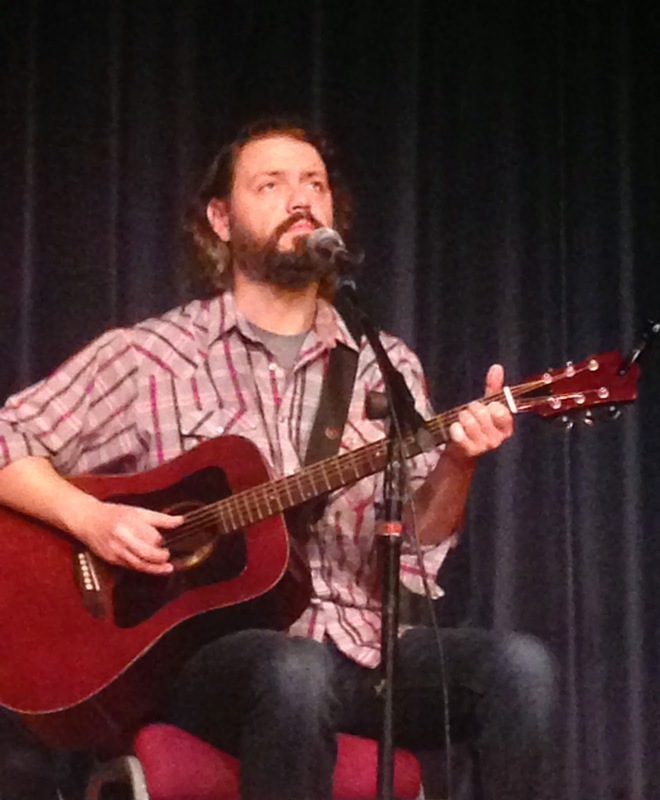 Stephen Simmons is an artist whose passion for words is an unrelenting lifelong journey and a performer who is most at ease when sharing his songs with an audience ripe for absorption. His latest European tour has a continental bias in date orientation but when word of his ability to entertain and paint a lyrical landscape gets around, his UK presence can be re-booted. 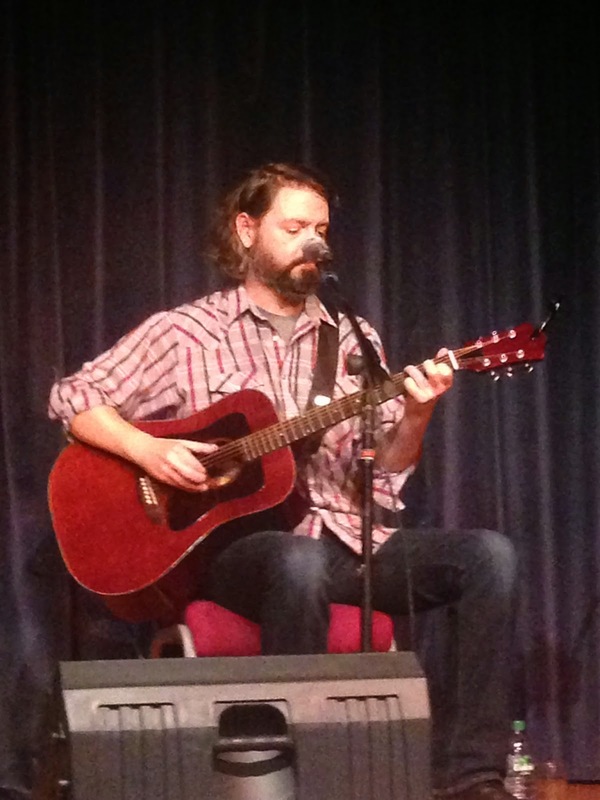 This date saw Stephen return to the Staffordshire area after a successful house concert last year and become the latest artist from the country, roots and Americana community to feature in the Hot Burrito Promotions programme. An East Tennessee upbringing will always give a country edge to Stephen’s work but his interpretation of life and the surroundings is more in tune with those who get banded with the folk troubadour banner. Labels aside, Stephen is an acute observer of time and place with an intuitive knack of being able to share his thoughts via the medium of song. Time constraints limited Stephen to a pair of 60 minute sets on this Halloween evening, although there was never a flagging sign, only a continual conveyor belt of interesting stories and compelling ramblings. As the Americanisation of UK Halloween continues to rapidly rise, it was of little surprise that Stephen latched onto this topical subject from a home perspective. However it was the more specific song backgrounds and tales from his travels which fuelled the imagination and interest of many present. With his latest complete packaged album being given a recent official UK release, it was ideal to follow up the review with a further insightful exposure to the songs. Therefore the length small towns go to in the name of self-promotion added solid background to ‘Horse Cave, Kentucky’ and the origin of the Midwest meeting the Deep South informed ‘I’ll Be Your Johnny Cash’. These were just two examples of numbers selected from the HEARSAY record and were joined by the less than exotic establishment ‘The Boobie Bungalow Gentleman’s Club’, ‘Emily’s Eyes’ and one of the evening’s stand out live songs ‘Just Like a Sad Song’. The night progressed from learning about the geological structure of Tennessee, the sickness nature of Nashville, general murder ballads through to more specific historical family secrets. 2011’s THE BIG SHOW also featured prominently with the blinding tracks ‘I’m Not’ and ‘Spinner of Tales’ standing tall amongst the gig’s highlights. On an evening where Stephen would pick a song from his extensive collection to match the mood or just because he had not played it for a while, there was a freewheeling randomness to the night’s proceedings. However other notable song picks were ‘Shirley’s Stables’ and ‘Asheville Girl’, with ‘Mr Saturday Night’ prompting the usual travelling quip of ‘what night is it’. Stephen’s main tools of the trade are his gutsy guitar skills, headful of fine songs and a voice drenched in southern sentiment with the sparing use of harmonica and a sole cover song in Waylon Jennings’ ‘Dreaming My Dreams With You’. Stephen follows a single agenda set by himself and a mission to improve his craft day by day and song by song. With a desire to overcome the usual industry barriers such as means to market, he supremely masks these challenges on stage. Stephen Simmons is a genuine guy blessed with a gift to utilise the transfixing medium of song. Adding him to your live or listening agenda will certainly enhance your appreciation of how a quality troubadour brings life and vitality to the country, roots, folk and Americana world.